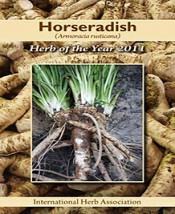 This unique compilation of horseradish information contains all aspects of this popular, pungent herbal root from lore to liniment. 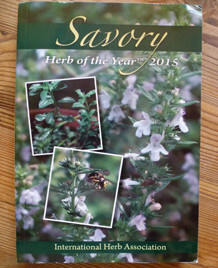 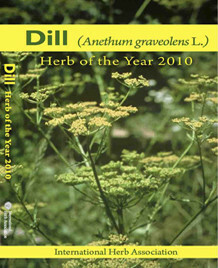 You will find everything from fatal fumes to fiery flavor—facts, stories, theories—including history about this ancient plant, both commercial and home garden cultivation and harvesting, health and medicinal facts, as well as over 30 delectable recipes featuring freshly grated horseradish root as well as commercially prepared horseradish from appetizers through dessert! This compendium on Armoracia rusticana is written by experts as well as interested members and friends of the IHA and includes articles, poetry, both color and black & white photos, and illustrations inspired by Horseradish, Herb of the Year 2011!